We are now member of Indo-Japan Chamber of commerce, Indo-German Chamber of commerce And Indo-American chamber of commerce. Ameenji is one of the standout Neoprene Bridge Bearing Pads Manufacturers in India. Premium quality Neoprene-Polychloroprene is used to manufacture our bridge bearing pads. Neoprene Bridge Bearing Pads are very easy to install in bridge than other bearings available in market as it required less maintenance. Our wide range of Neoprene Bridge Bearing Pads is extremely appreciated among our clients for their low maintenance, sturdy construction and high efficiency. High class materials are used to fabricate these pads to make it strong and durable. 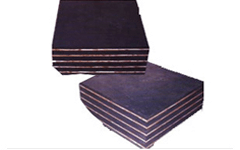 We are also Rubber Electrical Mat Manufacturers in India. Offered products by Neoprene bridge bearing pads manufacturers are widely demanded in the national and international markets for their longer service life and its competitive prices. Ameenji Rubber Pvt. 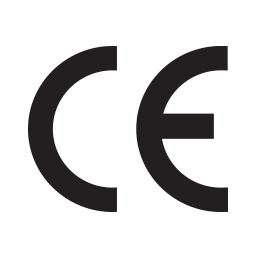 Ltd an ISO 9001-2008 certified company takes Pleasure in introducing as leading manufacturer / Authorized supplier of foreign manufacturer of Elastomeric Bearings Pads, Slab seal joints ,strip seal joints ,Compression seal joints ,Modular joints Pot PTFE bearings and Building joints, Geo synthetics in India. The factory is located at Hyderabad INDIA. We are equipped with “state of the art” advanced Material Testing Laboratory for testing of materials and finished products to ensure quality as per relevant specifications/IRC CODES. We have the latest plant and machinery for manufacture of these products and dedicated work force of 90Employees which includes Engineers & Technicians. 5-5-65/1/A, F-14, S.A. Trade Centre, First Floor, Ranigunj, Secunderabad. © - Copyright. Ameenji Rubber Pvt. Ltd. | All rights reserved.